The ski resorts of the Pyrenees offer some fantastic skiing to rival the best of the Alpine resorts without the disadvantages of the crowds and the elevated prices. This is skiing on a smaller, friendlier scale, where the views and the overall experience of being in the mountains matter as much as the length of runs and extent of the resort. The resorts tend to be smaller and more family friendly but there is still plenty of challenging skiing for all levels and massive investment over recent years has resulted in fast and efficient lift systems. 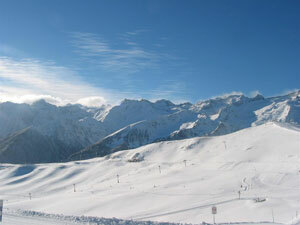 One of the highest resorts in the Pyrenees is Superbagnères, skiable to 2260 metres. It is part of the better-known, thermal spa town of Luchon and forms a natural, sunny balcony, with spectacular views over the Pyrenean range. Superbagnères was built in France’s Belle Epoque, when the crowned heads of Europe went from Seaside palaces to spa to ski resort and the architecture is suitably grand, dominated by the famous Grand Hotel. The resort has 25 pistes and 15 lifts and is the premier resort for wealthy Toulousains escaping for the weekend. 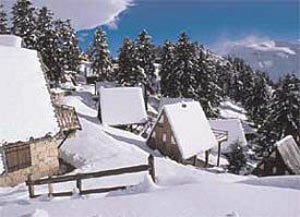 The lovely family resort of Guzet Neige just 140 km from Toulouse is also popular as a weekend getaway from the city. 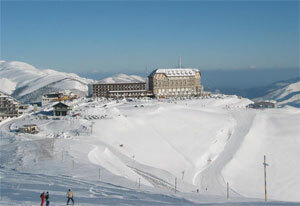 Guzet is a purpose built ski resort, first developed in 1959. Unusually, however, for a modern French ski development, it is known for being one of the prettiest places to ski in the Pyrenees. This is mainly thanks to planning restrictions, which insist that the architecture must be designed to blend in with the surrounding landscape. Subsequently the majority of the buildings are small, one or two bedroom wooden chalets, rather like beach huts in appearance but which nonetheless have a certain charm and character. 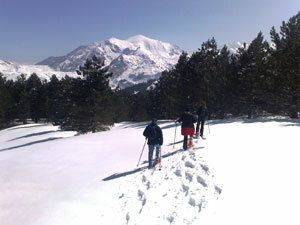 The resort is situated at the heart of a pine forest so many of the 31 pistes wind through the trees. With 40 km of runs, there is a wide enough range of skiing here for Guzet to have earned the reputation as the family resort of the Pyrenees.